Outside the “Let the moosh whoorl your hair contest extravaganza” I’ve never really done a giveaway. I’ve won plenty, but have waited for the PERFECT thing to break my giveaway cherry. Exhibit A: the moosh’s self portrait. 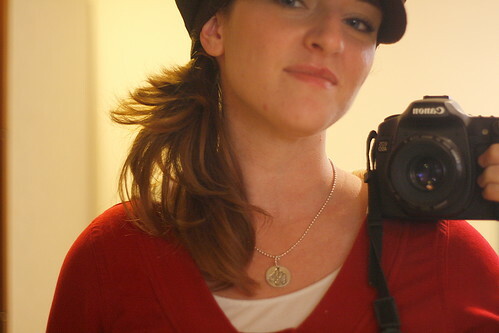 I love her self portraits, they always have big eyes, a smiling face and an insane halo of curly hair. Really, what’s not to love? 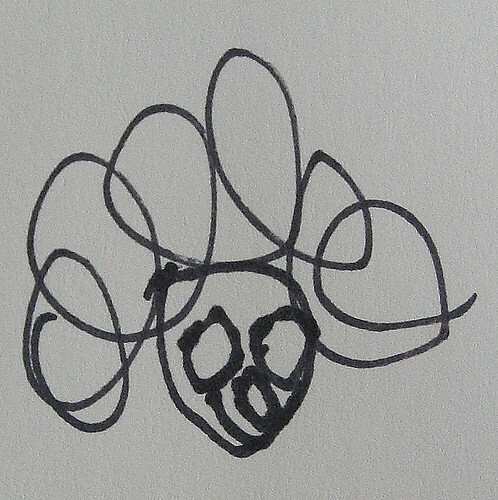 Exhibit B: the moosh’s self portrait on a doodletag. GAH! WITH THE CUTENESS RIGHT? When you order a doodletag, they will also send you a rubber stamp of your doodle (swoon) to adorn Christmas cards, scrapbooks and stationary. 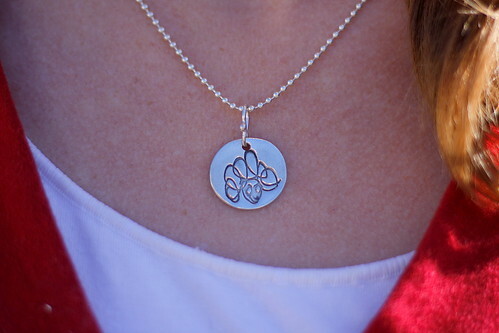 Mommy Tags also offers plenty of other personalized silver pieces for moms, dads, felines, canines and humines. Hello best Christmas gift ever? The folks at Mommy Tags is generously allowing one moosh in indy. reader to WIN! an entire doodletag setup. 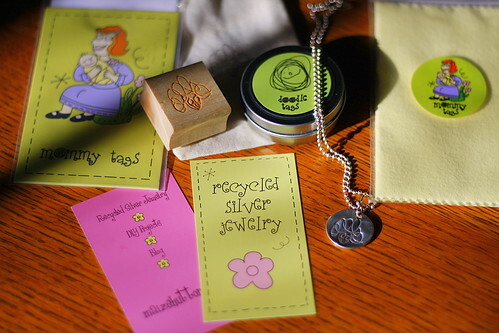 Necklace, chain, stamp, stamp pad, silver cleaning cloth, storage tin and free shipping (worth over $100!) All you have to provide is the doodle. Simple! 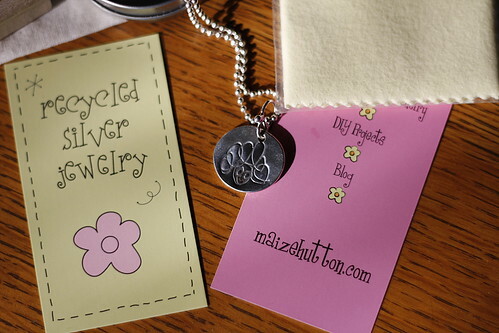 Head on over to MommyTags.com, peruse around, come back here, tell me what your favorite Mommy Tag offering is in a comment below and you’re totally entered. Want a second entry? Tweet this giveaway and leave the link to your tweet in the comments section. The doodle tag is awesome! I love it!!! !